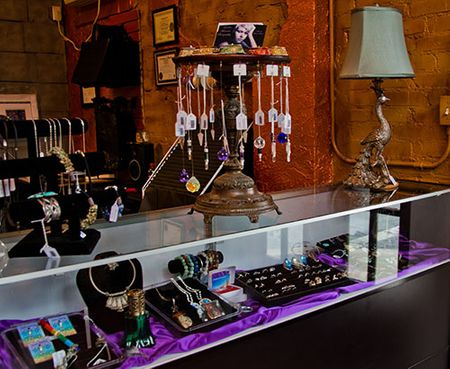 As you step inside the castle walls, the shimmer of crystals and gemstones will catch your eye and entice your curiosity. Each stone comes with a card describing it's various properties of metaphysical usage so; no matter how many go home with you, there will be a reference card for each stone for you to keep. 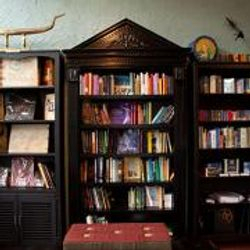 Our library is to the left of the entrance where Tarot & Oracle decks, Journals, Grimoires, and Books fill the wall; some written and created by local artisans. In the Faerie's Forest just around the corner you'll find boxes for keepsakes and divination tools to explore. 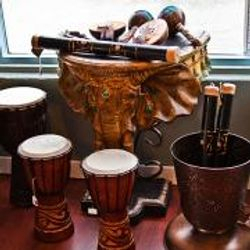 If you're in search for representations of a specific pantheon deity, we offer a stunning array of statuary of Eastern, Egyptian, Greek, Roman, Celtic and more. In the glass cases near the check-out take a peek inside! 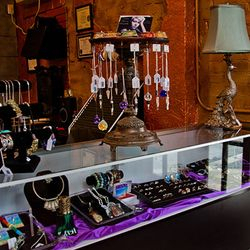 Our selection of jewelry offers some one-of-a-kind, unusual, rare and beautiful pieces. 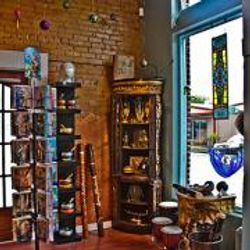 We have crystal wands and ritual tools with designs from dragons to hieroglyphs. 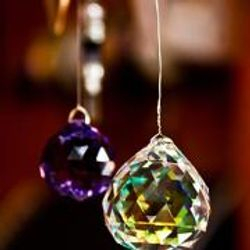 Crystal Balls of various size & colors radiate with their energy waiting to be held by the one chosen to work with them. Please, if you don't see something you're looking for let us know, we'll always try to get it for you.